When you live in a rental, the limit to what you can do to your space, unfortunately, exists. Depending on how strict your lease is, you could be stuck with less-than-ideal fixtures that you don’t have the power to change, but that doesn’t mean there aren’t plenty of decorating options that can make your temporary home look and feel more permanent. 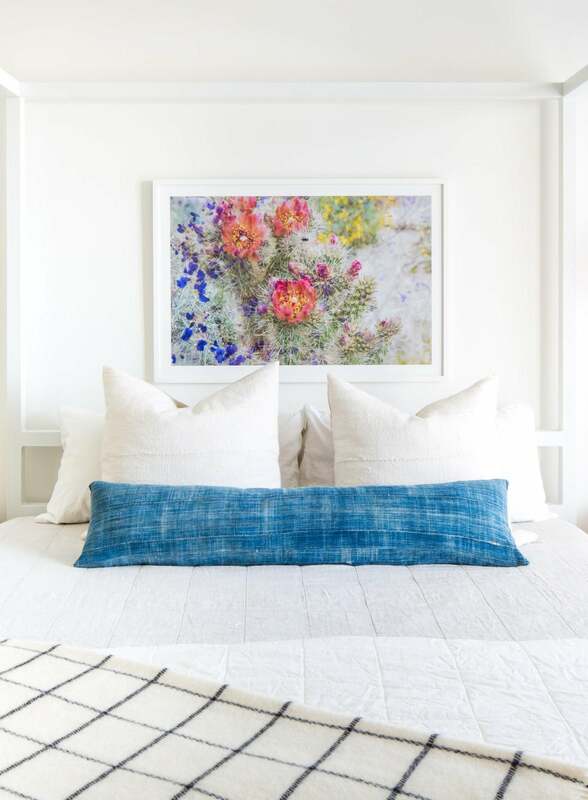 Even if you don’t plan on living in your home forever (or even more than a year), a few low-budget styling tricks can make your space look instantly elevated, and they can easily carry over to your next pad. It’s all about choosing the right things to invest in and about making the most of decorative accents; the beauty is, after all, in the details. Once you map out your budget and figure out the best decorating route for your home, it’s easy to shape interiors you love. Ready to revive your rental? Follow these interior designer–approved tips and watch your space shape up. “Cabinet hardware is like jewelry for your cabinets,” says interior designer Laura Hodges. “It can instantly upgrade the overall look without requiring a renovation or a major investment.” Swapping out hardware in your kitchen is perfectly simple, but don’t just limit yourself to that—it can also make a big difference to IKEA furniture. “Add temporary wallpaper to any surface to showcase your individuality,” suggests interior designer Dee Murphy. “The back of a bookcase, one wall, the back of cabinetry—you name it.” This tip is especially handy if you’re not quite sure how your landlord will feel about a temporary peel-and-stick. Here’s a super-simple decorating option you might not have considered: “When I was a renter, I always did one thing as soon as I moved it: count the number of outlet covers and switch plates, and then swap them out for clean, white ones,” says stylist Joanna Hawley of Jojotastic. “It’s a really affordable change that makes the space feel fresh, especially if your building is older.” Matte black or brass switch plates can also make a bold feature. “Position carved doors or decorative panels in an alcove or entry,” recommends Erin Shakoor of Shakoor Interiors. “The panels can simply lean against the wall, slightly overlapping with a bench or console table in front—though this isn’t recommended for open wall space with lots of traffic.” On-trend room dividers make an easy alternative to panels too. You might not be considering the full possibilities of a good set of curtains. “Can’t paint? Elevate the look of your space and introduce color and texture in other ways,” says interior designer Saudah Saleem. “Try using floor-to-ceiling patterned drapery panels on windows—the higher the drapery is hung, the better. This draws the eye up and adds a sense of elegance.” If you can’t use temporary wallpaper, this trick is an easy alternative. This tip might require some help from your landlord, but it’s something that many will happily approve. “Adding statement lighting is one of the easiest ways to update or elevate a kitchen design without investing in major renovations,” suggests Anelle Gandelman of A-list Interiors. “Replacing dated or generic light fixtures is like a mini face-lift—the space is immediately transformed into something that feels current and more custom.” A pendant lamp or chandelier that costs under $200 can have a perfectly high-end result. Don’t have the power to rewire your lighting? Never fear—there are ways to install fancy-looking options that don’t require landlord approval. “Wall lighting immediately creates a permanent and thoughtful look, while plug-in options allow you the flexibility to stick your light any place at all and take it when you go,” says Hopp. “Using wall sconces over nightstands or a sofa will leave you with a custom design feel, like the room was built around your furniture. Yes, you may already know that mirrors make a space look bigger and brighter, but have you ever considered what type of mirror to put in your space? “Replace standard mirrors with oversize and options with a unique shape or arrange multiple mirrors from floor to ceiling,” suggests Shakoor. “Dynamic mirrors are wildly popular everywhere, from the high-end to the local retailer.” A sleek, contemporary mirror or a unique thrift store find makes a major impact.